The Grammys is one of the longer-running award shows, but we're not mad about it. But put the stellar musical performances and unpredictable on-stage moments aside for just one second, because we want to talk about the fashion. 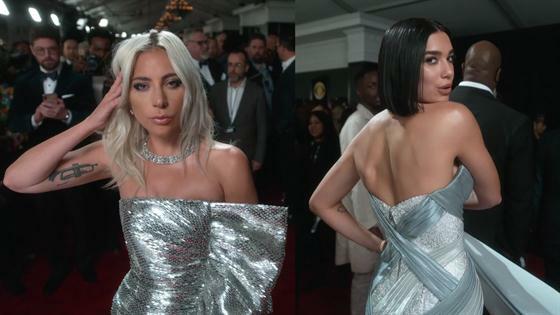 If you've seen it before, you know this is a red carpet where stars really let their hair down, step out of the box and just straight up bring it with iconic looks you won't soon forget. On top of that, we've got our E! Glambot set up because we wouldn't want you to experience Tori Kelly's stunning black dress or Camila Cabello's pretty pink number any other way. All Camila Cabello has to do is show up and she has our full attention. Lady Gaga is working it in her metallic silver gown. We don't know about you, but we love a Katy Perry red-carpet entrance. We've never seen an Ashlee Simpson and Evan Ross red carpet couple moment we don't like. Yes, Miley! Miley Cyrus is killing it, as per usual. See the more Glambot moments in the the video up top. And for everything else Grammys related, click here! Catch the encore of E! 's Live From the Red Carpet at the 2019 Grammy Awards, Monday 11 February 8,30pm AEDT on E! Don Cheadle & Mark Ruffalo Pick Their Favorite "Avengers"